Apple is bringing several enhancements to emojis in OS X 10.10.3, as placeholder emojis indicate we may see more diverse characters when the update is released to the public in the coming months. Following word from the Unicode Consortium in March of 2014 that more diverse emojis are coming, there are now multiple versions of the same emoji character under a sub-menu. Given the beta state of OS X 10.10.3, the menu is currently non-functional, but it does show the selected emoji followed by five instances of the emoji paired with a number one inside a black box, MacRumors first noted. This indicates we may see different skin tones for the “man” emoji and others. 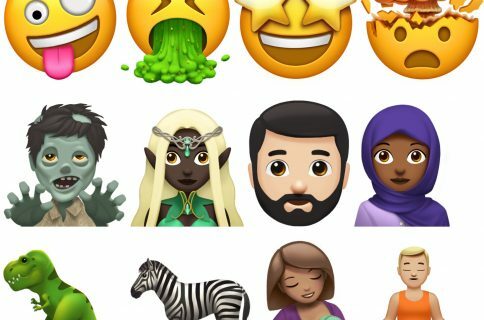 Apple has taken a strong stance on adding more diverse emojis, saying in March 2014: “There needs to be more diversity in the emoji character set, and we have been working closely with the Unicode Consortium in an effort to update the standard.” As a whole, Apple has been working to take a greater stance on diversity. 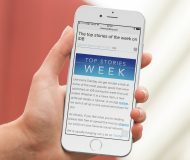 Furthermore, the pop-up emoji picker available in many apps has been transitioned from a paginated layout to a single larger vertical-scrolling page. For instance, if you were to bring the emoji picker up in OS X 10.10.2 you would see just a long scrolling list of emojis. Now it’s broken into categories like on iOS. Emojis have exploded in popularity after being released within iOS 5. 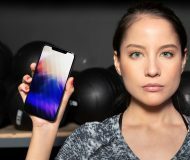 They’re seen as a quick way to show expression. 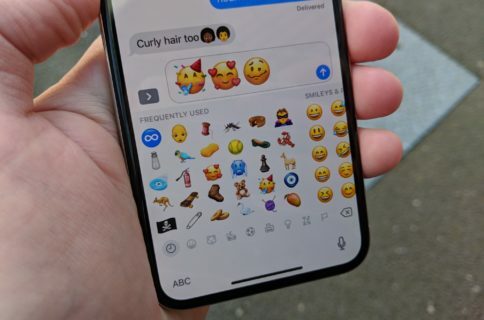 On Thursday, the Unicode Consortium moved the technical report covering skin tone modifiers and other emoji changes for Unicode 8.0 to draft status, and Unicode 8.0 itself has been approved for beta release. 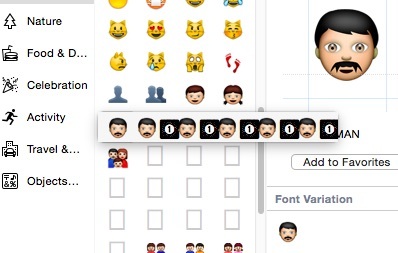 As more betas of OS X 10.10.3 are released, we should see more improvements to emojis.